The contents of these pages are © GreenPower (Carraig Gheal) Ltd 2016 unless otherwise stated. Publication or reproduction of any information contained on this web site is prohibited without the prior written permission of GreenPower (Carraig Gheal) Ltd or, where different, the copyright holder. We have made every effort to ensure that information provided on this web site is accurate. However, neither GreenPower (Carraig Gheal) Ltd nor any of its associate companies or affiliates can accept responsibility for any inaccurate information contained on this web site. Users of this website should note that it uses 'cookies' to collect anonymous traffic data. This is solely so that GreenPower can track geographical, and overall levels of, useage of the website. This web site contains links to web sites operated by parties other than GreenPower (Carraig Gheal) Ltd. ("Third Party Web Sites"). These links are provided for your convenience only. 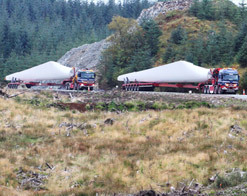 When you activate one of them, you leave GreenPower (Carraig Gheal) Ltd's web site. GreenPower (Carraig Gheal) Ltd has no control over, and will accept no responsibility or liability in respect of, material on any web site that is not under the control of GreenPower (Carraig Gheal) Ltd. The inclusion of links to Third Party Web Sites does not imply any endorsement of the material on them or any association with their operators. GreenPower (Carraig Gheal) Ltd is not responsible for the privacy or data protection practices of third party websites. By following a link from this website to a third party website you may be supplying data directly to a third party. This site allows for downloading of files. We do not accept liability for any loss or damage which may result from the downloading or e-mailing of any of these files. E-mail is not secure and can be intercepted, corrupted or amended. We do not accept liability for errors or omissions arising as a result of interrupted or defective transmission. Details of your name, e-mail address and any other personal information about you which you include in response to parts of this website comprise "personal data" for the purposes of the Data Protection Act 1998. We therefore require to give you the following information. The data controller for any such personal data you may give us is: GreenPower, The e-Centre, Cooperage Way, Alloa, Scotland, FK10 3LP. We will be processing such personal data in the following ways, depending on the data you provide to us. Your personal data will be kept on file by us and used by us to either: Introduce your business to opportunities to participate in the development of projects. Inform you of progress of GreenPower projects. Receive information directly from us following requests from individuals and organisations in relation to specific projects. We will not pass your details on to any third party and you may request to be removed from our lists at any time by e-mailing enquiries@greenpowerinternational.com and stating which lists you wish to be removed from. Under the Data Protection Act you have the right to access your personal data held by us and to correct any inaccuracies in that information. Legal Disclaimer. Copyright 2016 GreenPower (Carraig Gheal) Ltd. All rights reserved.